Martin Luther King, Jr.'s ideas—his call for racial equality, his faith in the ultimate triumph of justice, his insistence on the power of nonviolence to bring about a major transformation of American society—are as vital and timely as ever. The wealth of his writings, both published and unpublished, is now preserved in this authoritative, chronologically arranged multi-volume edition. Volume III chronicles the Montgomery bus boycott of 1956 and Dr. King's emergence as a public figure who attracted international attention. Included is the galvanizing speech he gave on the first day of the bus boycott, transcribed from a fragile tape recording and published here in its entirety for the first time. Also included are his remarks to an angry crowd after the bombing of his home and his powerful speech at the 1956 NAACP convention. 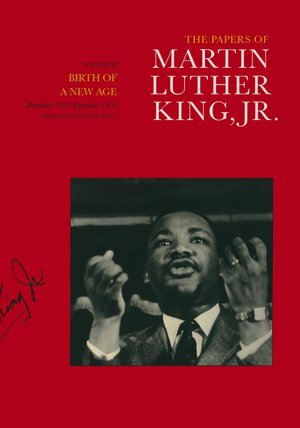 King's words from this period reveal the evolution of his distinctive blend of Christian and Gandhian ideas and show his appreciation of the broader significance of the Montgomery movement, a protest that revealed the "longing for human dignity that motivates oppressed people all over the world." The Papers of Martin Luther King, Jr. is a testament to a man whose life and teaching continue to have a profound influence not only on Americans, but on people of all nations. 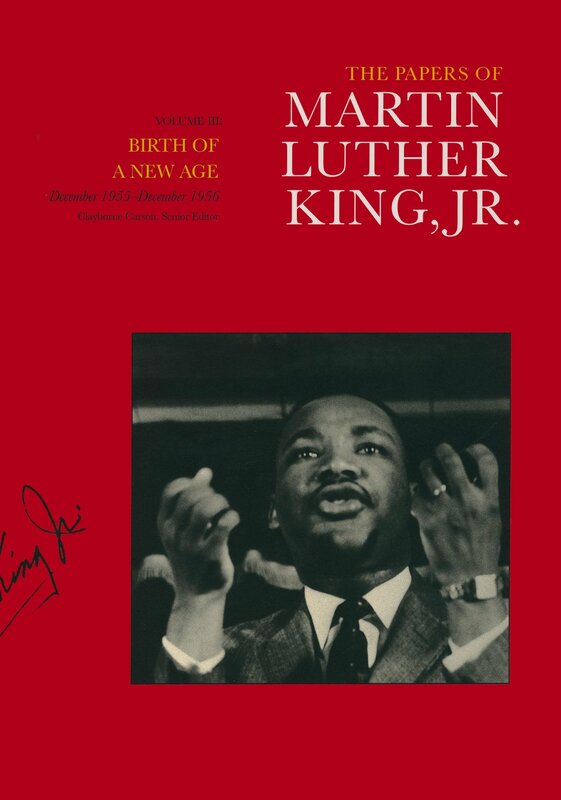 The Martin Luther King, Jr., Papers Project at Stanford University was established by The Center for Nonviolent Social Change, Inc., in 1984. Clayborne Carson is Director and Senior Editor of the Martin Luther King, Jr., Papers Project and Professor of History at Stanford University. He is author of In Struggle: SNCC and the Black Awakening of the 1960s, which won the 1982 Frederick Jackson Turner Award. Susan A. Carson, Managing Editor, joined the Martin Luther King, Jr., Papers Project in 1987 as librarian and archivist. Peter Holloran is a Contributing Editor with the Papers Project. Dana L. Powell earned her B.A. in History from Howard University and is currently working as a community organizer in Washington, D.C. Stewart Burns, a Stanford historian and resident fellow, is author of Social Movements of the 1960s and coauthor of A People's Charter: The Pursuit of Rights in America.